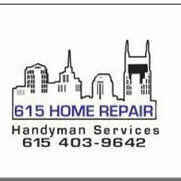 Over 35 years in the custom home building industry, now semi retired looking to do handyman work in the Nashville area. I am licensed and full insured. Fully Insured up to 2 Million in liability insurance.